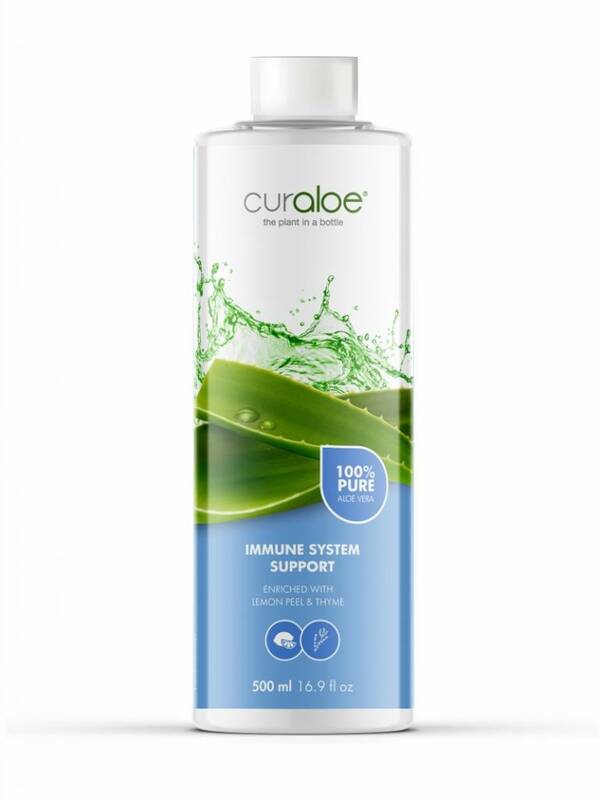 Try our Immune System Support Health Juice now! 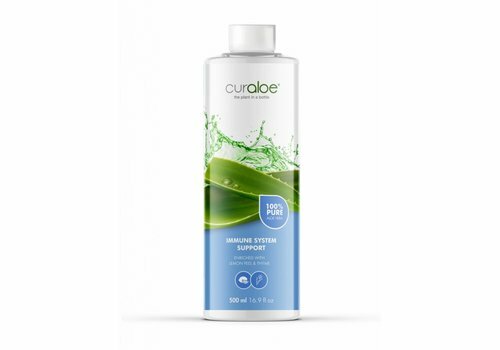 Aloe Vera helps address more than just skin conditions. 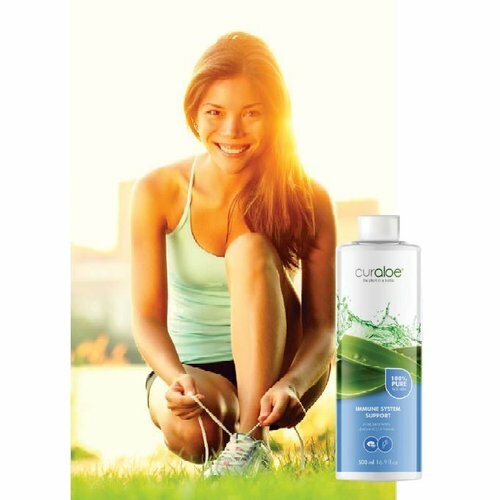 The properties of Aloe Vera, especially those related to cleaning the body and strengthening the immune system, play a key role in treating internal conditions as well. 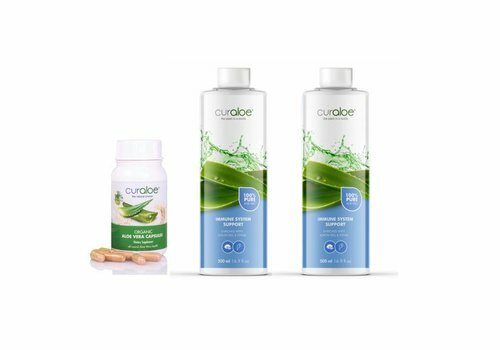 We combined all these herbs together with the AMAZING powers of Aloe Vera in our Curaloe Immune System Support Health Juice! A perfect boost for your Immune system! Enriched with Lemon peel & Thyme. Need to boost your Immune system and/or health? 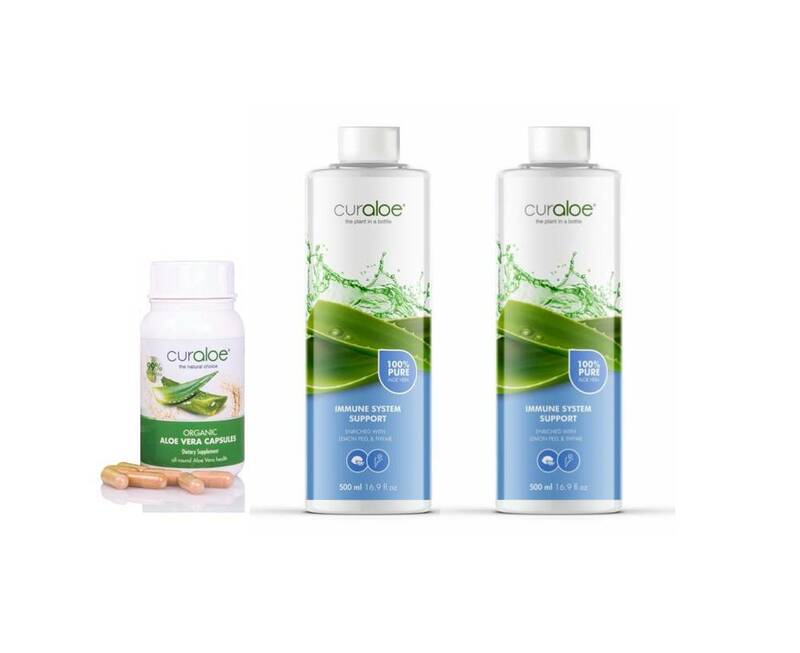 We created a special package to support your immune system and boost your health in 2 months.